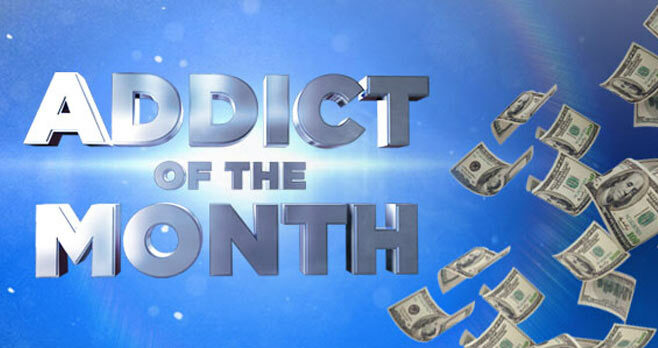 ID Addict Of The Month: Visit InvestigationDiscovery.com/Addict all this month for your chance to become the Addict Of The Month and win either a walk-on role with this highly popular Investigation Discovery Giveaway or a $1K Visa Gift Card. Starting on Mondays, tune in to ID for a weekly code word that will be displayed on screen between 8:00 and 9:00 p.m. ET. Then, go online to www.InvestigationDiscovery.com/Addict to enter the code word for a chance to win. Who Can Enter: The Investigation Discovery Addict of the Month Giveaway is open only to legal residents of the 50 United States and the District of Columbia and who have reached the age of majority in their state of residence and are at least 18 years of age or older at time of entry. Sweepstakes Period: The Giveaway begins at 8:00 p.m. ET on March 29, 2019 and ends at 11:00 p.m. ET on April 25, 2019. Limit Of Entry: Limit of one (1) entry per eligible person, per Entry Period. Prize Drawing: One (1) potential Grand Prize Winner will be selected by Sponsor in a random drawing from all Entries received during the Promotion Period on approximately April 6, 2019. Sweepstakes Prizes: a trip for two (2) people to a to-be-determined shoot location, consisting of: (i) round-trip coach class airfare for Grand Prize Winner and one (1) guest to and from the shoot location from the major U.S. airport nearest Grand Prize Winner’s residence within the 50 United States and D.C.; (ii) three (3) days/two (2) nights hotel accommodations (one room, double occupancy, room rate and tax only); (iii) the opportunity to participate in a walk-on role on an Investigation Discovery series; (iv) airport transfers to/from the airport; and (v) $500 spending money. Approximate retail value of the Grand Prize: $3,500. List Of Winners: BBeginning on or about May 30, 2019, you may obtain the name of the Grand Prize Winner by going to the Promotional Site. You may also receive the winner’s name by mailing a self-addressed, stamped envelope to be received by March 30, 2019, to: ID “Addict of the Month” April 2019 Win a Walk-On Role Winner List, PMI Station, PO Box 750, Southbury, CT 06488-0750. Sponsor: Discovery Communications, LLC, One Discovery Place, Silver Spring, Maryland 20910.